Innova AS has been assigned a contract by Statnett for development of a robotic tool for installation of Aircraft Warning Markers, AWM, on high-voltage power lines. The robot is designed for autonomous installation of AWM onto power line shield wires by helicopter. The shield wire is positioned above the conductors and acts as an earth wire for the power line assembly. As the installation is fully autonomous, personnel risk is significantly reduced as only the helicopter personnel are involved during operation. Installation of the AWM’s can be performed with full power on the lines, hence reducing cost. In addition, the robotized installation saves time as the autonomous installation is by far faster than manual installation. During the development, Innova AS has been working closely with both Statnett and their AWM-suppliers in order to ensure full interface-control and an optimized technical solution. By working as an integrated team, the technical solution is optimised in every aspect providing a safe and economical method for installation of Aircraft Warning Markers. 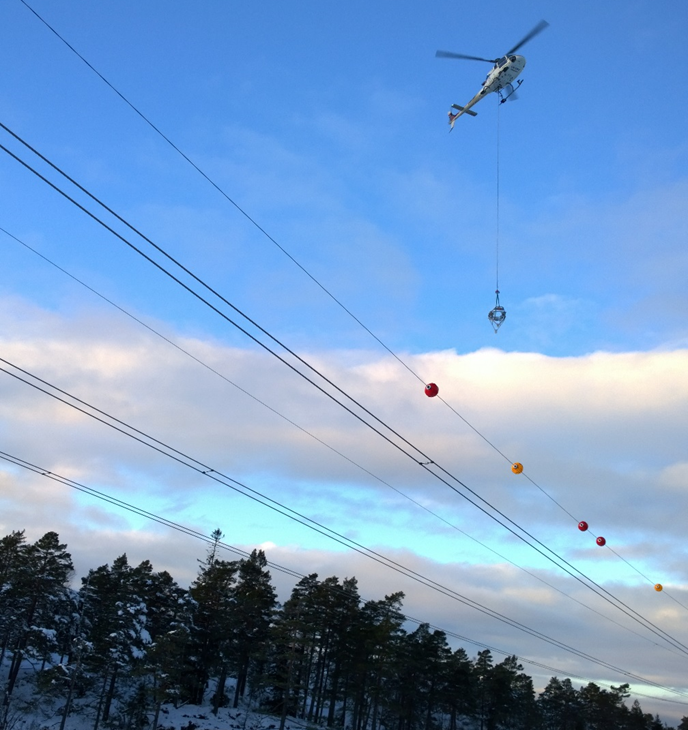 The prototype robot has now been successfully tested on a power line mock-up in workshop and on Statnett’s dedicated test-facility featuring actual power lines and helicopter. Full-scale test of installation onto live power lines is planned for spring 2017 followed by delivery of final robots ready for installation of AWM’s during summer season.